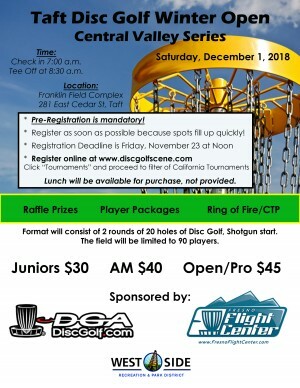 Hello Central Valley Series Disc Golfers! 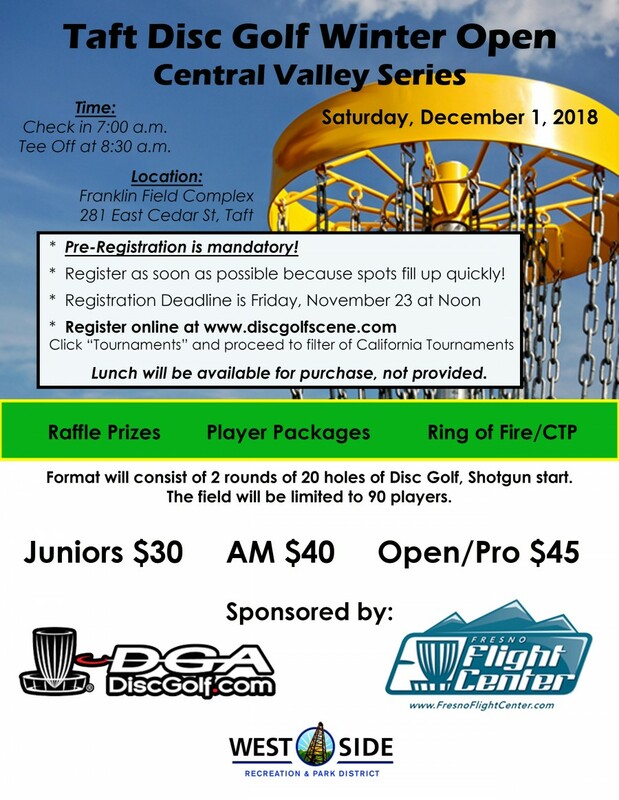 We are pleased to present the 2018 Taft Winter Open. $30.00 per hole. Holes 1-20. We request a photo via email from your business/organization. Check-in starts at 7:00 a.m.
Players meeting at 8:00 a.m. Lunch is available for purchase, not provided. We are looking forward to another great tournament and we can't wait to have you here! West Side Recreation & Parks District is responsible for all refunds/cancelations.